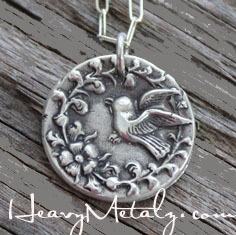 This lovely bird pendant measures approx. 13/16", but each one is made by hand and will vary slightly. A sterling silver chain is included with your order. Choose your options in the pull down menu below.